NODA was formed in 1899 and has enjoyed well over one hundred years of service to amateur theatre. When NODA was established in the late nineteenth century, amateur theatre was only just beginning to be a popular form of entertainment. At this time, Gilbert and Sullivan operas provided the main impetus for the formation of amateur theatre groups. With their drama, humour and melodies, they were very popular and amateurs loved to perform them - often using G&S to launch themselves. The first amateur production of a Savoy Opera in Britain took place in April 1879 at the Drill Hall in Kingston-upon-Thames, when The Harmonists performed HMS Pinafore. It was soon realised that amateur groups would benefit from an overarching association and a meeting of interested parties was held at the Grosvenor Hotel, Manchester, in February 1899. Representatives from eleven societies attended, the majority of whom were from societies in the North West of England. It fell to Nicholas Kilvert, MD of Brooklands Amateur Thespian Society, to propose the formation of the organisation now known as National Operatic and Dramatic Association, and to suggest that a committee be drawn up to run it. At a follow up meeting in April, draft rules were approved and Nicholas Kilvert was elected President, with Herbert Monckton of Birmingham AOS elected Vice-President. 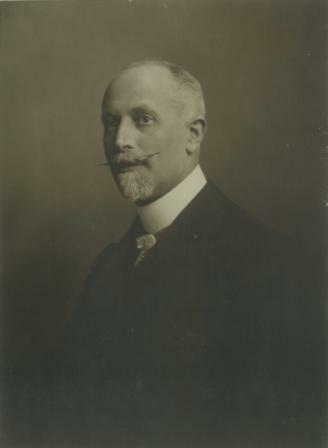 Pictured above is Kilvert, who was the first NODA President from 1899 - 1911. 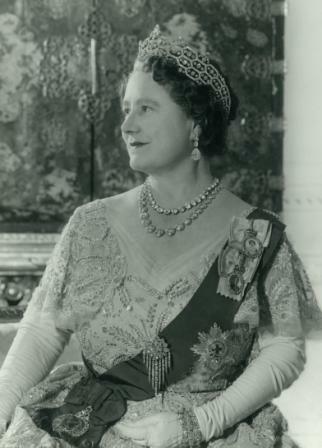 In 1960, Her Majesty the Queen Mother became patron of NODA. In 1974, just two days before the 75th anniversary of the meeting at which NODA was founded, a reception was held for NODA at St. James' Palace, attended by Queen Elizabeth the Queen Mother. The Queen Mother greeted President Bernard Clarke and his wife, together with members of Council. After this formal reception from NODA's royal patron, the guests travelled across London to the Baronial Hall for an informal get-together, with entertainment from seven London societies. Queen Elizabeth the Queen Mother, 1974. All information taken from John N. Young, 1999. A Century of Service, published by National Operatic and Dramatic Association.